You Failed "How To College"
Predatory loans are just a scam. A Virginia high school teacher has resigned while under investigation for allegedly showing students her before and after breast augmentation pictures. Three students have come forward to say that she showed them these images and other, even more inappropriate pictures of herself on her phone at school. Police searched her phone and found nothing according to The Smoking Gun but a search warrant is being obtained to look for additional data on the phone such as hidden or protected files. 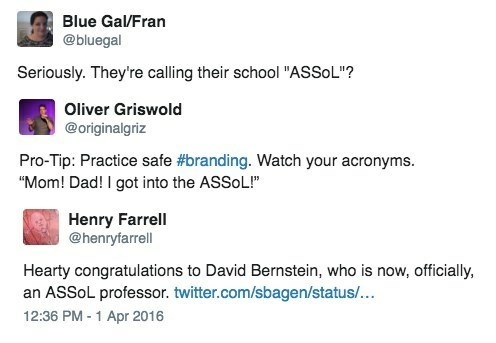 Following several mocking Tweets, the new name will be "the Antonin Scalia Law School at George Mason University". Which is a shame because, according to his opponents, that name isn't nearly as representative of the man it was named for.